The Impala – Aeopycerus melampus, is a unique antelope with it own tribe and no close relatives. Gracefully built, the male has long, slender lyrate horns, ridged on their anterior. 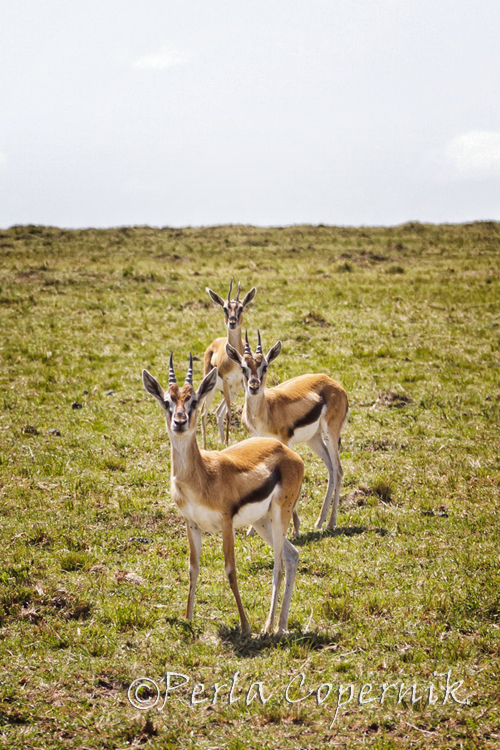 is the presence of up to a dozen different antelopes in the same area. People go to Africa thinking I want to see as many lions as possible, or I want to see cheetahs or leopards, and of course they also want to see elephants and giraffes and zebras. 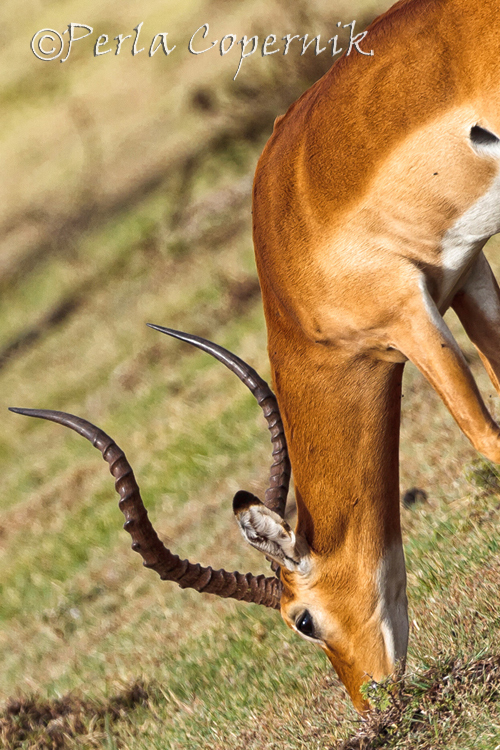 The Thomson’s gazelle A way to identify them is through a bold black side stripe, facial markings and a black tail. Topis are considered the most social and intelligent of all antelopes. They have ringed horns that bend outwards in a half-moon shape. They are exquisite photographic subjects. 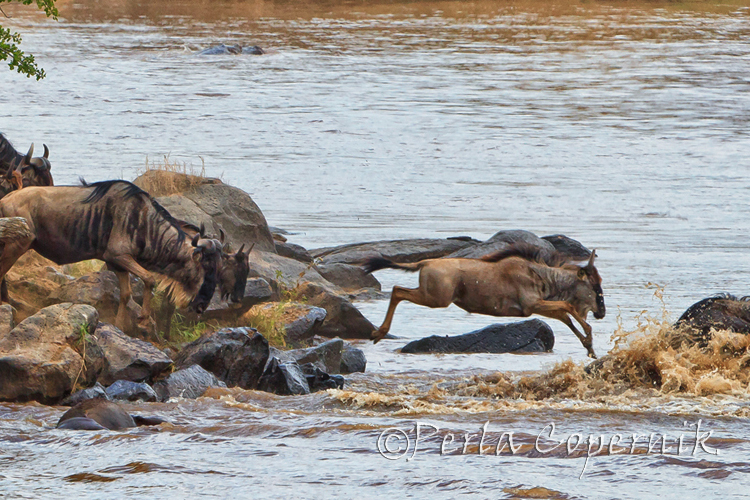 Many will say I want to see the wildebeest and zebra great migration, but that is because they want to witness the spectacular drama that unfolds when these animals decide to cross the Mara river looking for greener pastures. 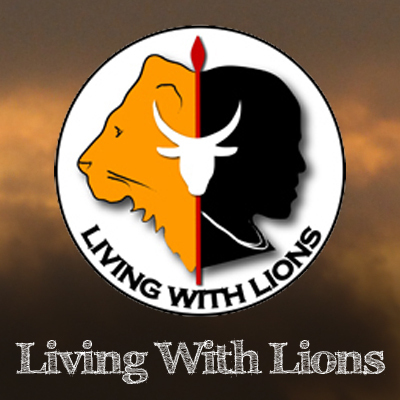 But very few realize, until you actually get there, that there is this fascinating group of animals that absolutely dominates the African continent. 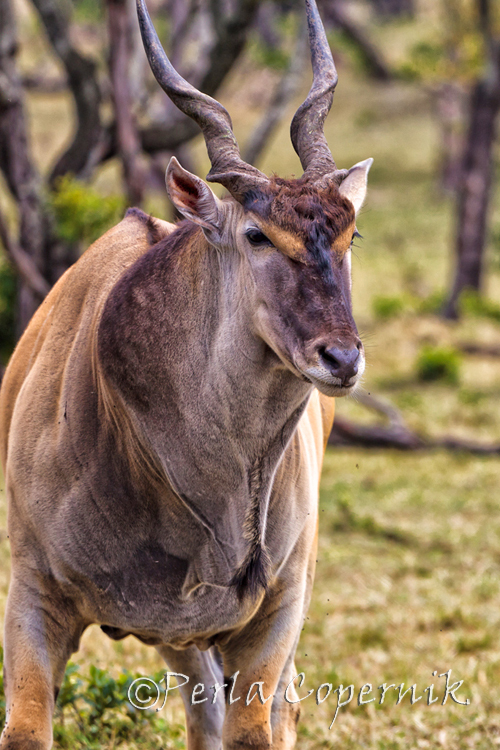 The regal topi – Damaliscus lunatus- belongs to the Hartebeest (Alcelaphini) tribe. I have yet to meet somebody that fails to be charmed by this vast diverse group of ungulates; their colors, their graceful forms, their very sweets soft brown eyes -although I’m sure they will kick your behind if you try to approach them-and above all their striking horns twisting and curving in an incredible variety of shapes. 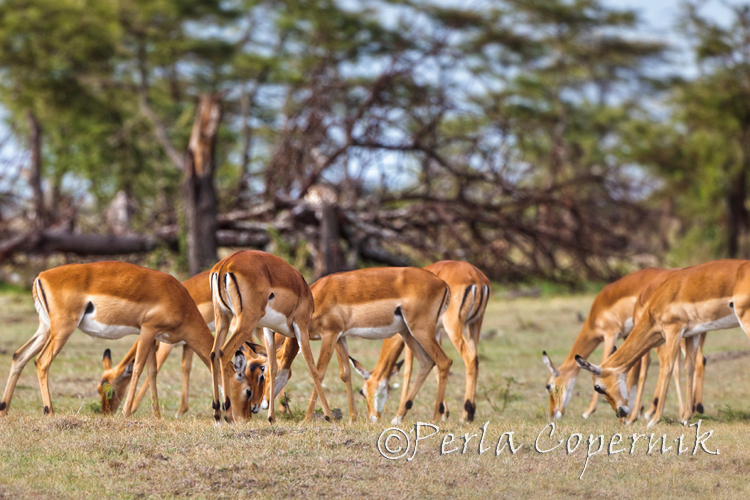 The name impala means “lyre horn” in Greek. I’m talking about the antelopes, and guess what the wildebeest also known as gnu is part of this group. But who are they? These Old World grazing and browsing hoofed mammals belong to the family Bovidae (order Artiodactyla). Antelopes account for over two-thirds of the approximately 135 species of hollow-horned ruminants (cud chewers) in the family Bovidae, which also includes cattle, sheep, and goats. One of the most characteristic marks of this antelope are the vertical black stripes down tail and thighs, the locals call the impala the 111 gazelle. And you thought the wildebeest was a thinner cow? Wrong, although it belongs to the same family it actually has more in common with the topi, the impala, and the beautiful oryx among others. They came into existence beginning some 24 million years ago and reached a peak during the last several million years of the Ice Age. 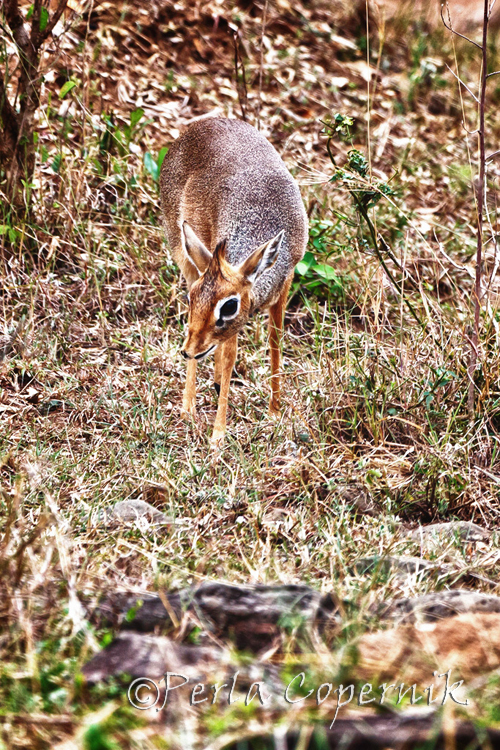 Dik-Dik – Madoqua Kirkii, is a miniature antelope with a pointed, mobile snout, and big eyes. 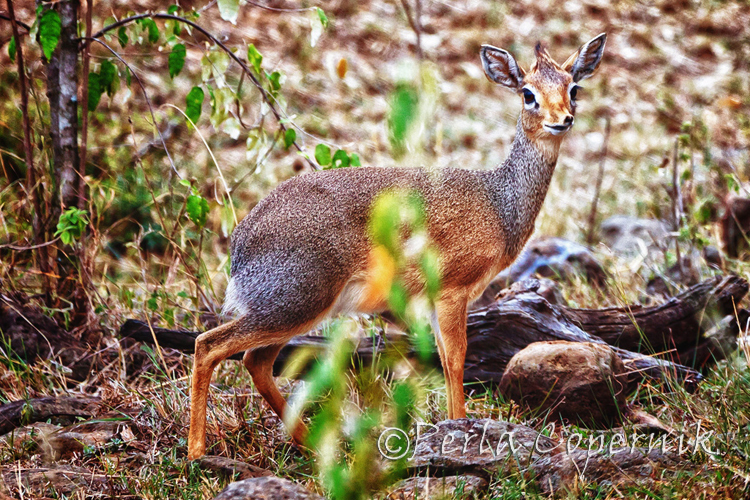 Although I was lucky enough to see several during plain daylight, dik-diks are more active at night. 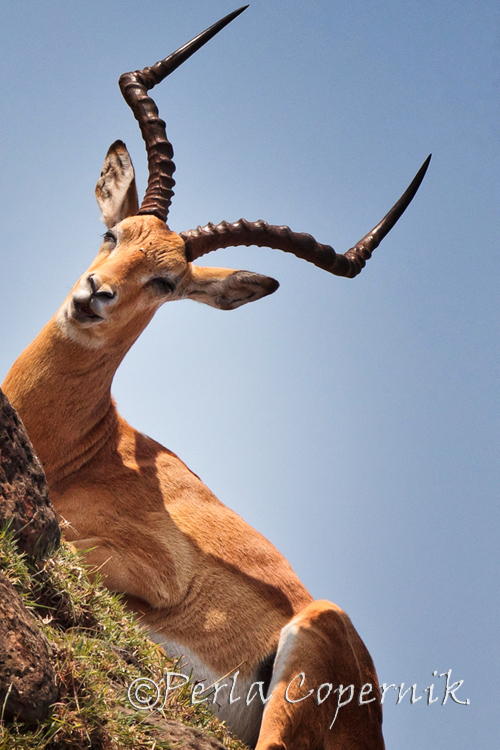 Antelope is not a taxonomic name but a catchall term for an astonishing variety of ruminating ungulates ranging in size from the diminutive royal antelope (2 kg or 4 pounds) to the giant eland (800 kg or 1,800 pounds). Africa, with some 72 species, is the continent of antelopes. So what is so special about this group, besides their beautiful Baroque and Gothic-like horns, which are not mere decoration in these animals heads and certainly do not belong in people’s houses as souvenirs? Well, in my mind similar to birds, antelopes represent an eco-evolutionary success. Of course I’m not including in this success the battle of survival against humans, because unfortunately when faced against us, the biggest predator on Earth, all nature is in disadvantage. I’m talking specifically about the capacity of this group to evolve and adapt to an incredible variety of habitats. During my week in the Masai Mara, I had the opportunity to see and observe seven different species in action beginning with the wildebeest which you can actually see running around from the window of the very small plane that takes you to the wildlife park. And on the way to the camp I saw a group of Thomson’s Gazelles the smallest gazelle of the antilopini tribe that are also called Tommys by the locals. 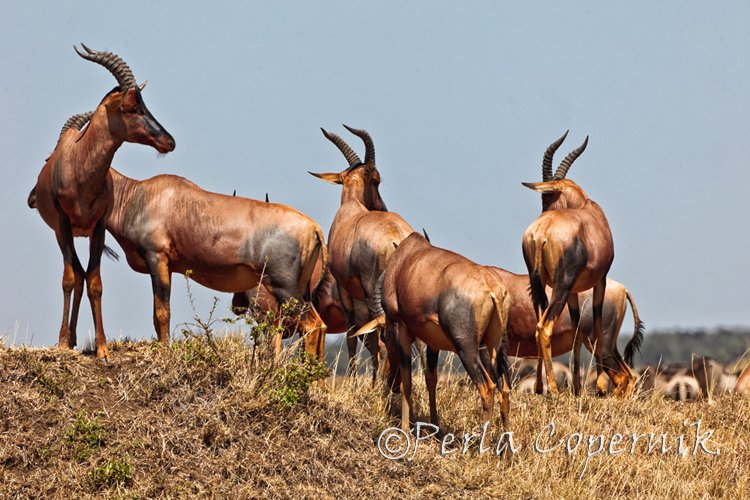 That same afternoon, I saw herds of gorgeous impala which have a tribe of its own and I saw the first antelope I did not only know anything about, but didn’t even know it existed, the beautiful and super intelligent Topi. 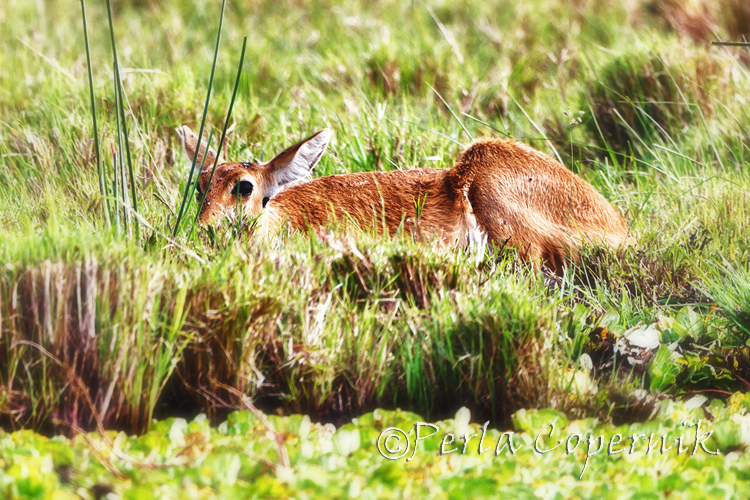 Female Reedbuck, hiding or resting in the marshes. This is the common or Southern reedbuck, Redunca arundinum. Their hindquarters are more developed than the forequarters and they have a characteristic scent gland that looks like a bare round spot below the ear. 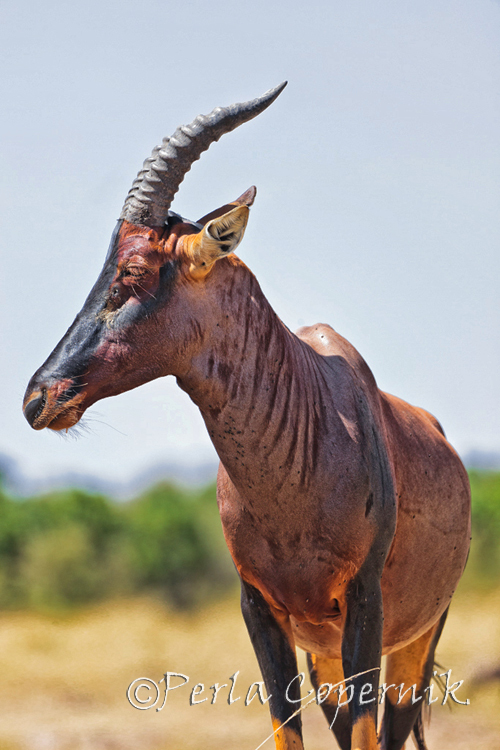 This gorgeous huge antelope with beautiful horns, suffered drastic reductions in population but it is being widely reintroduced on farms in South Africa and Zimbabwe. 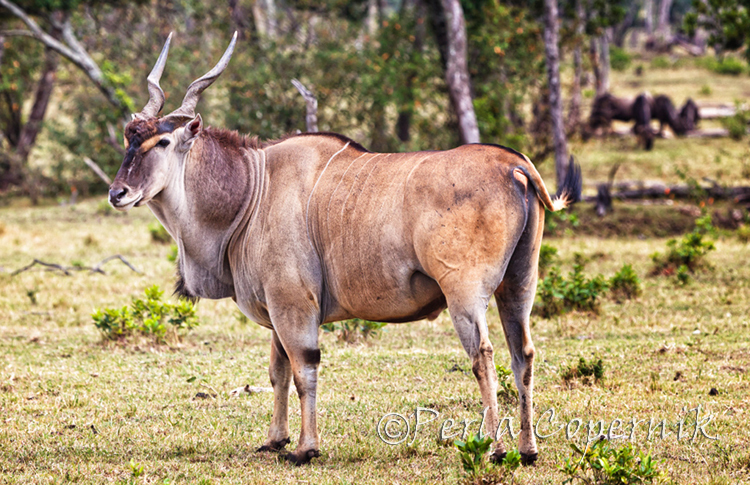 Commonly described as an antelope in ox’s clothing, the eland -Tragelaphus (Taurotragus) Oryx- is the biggest African bovid and certainly they biggest antelope of all. It’s a natural low density and very shy animal. Now the big surprise came two days after, while looking for birds we saw this literally miniature antelope which I knew it existed but didn’t imagine it was so small, in some cases smaller than a house cat. Known as Dik-Dik it belong to the Neotragini Tribe also known as the Dwarf Antilope Tribe. Needless to say that throughout the week I saw many more tommys, impalas, topis and even a couple of more dik-diks (they prefer to roam at night), but I still had the opportunity to see a lonely reedbuck in the marshes and the most impressive site of all, yes on my last game day I saw this huge Eland, really huge and gorgeous! Dixon, my guide said I was really lucky not only it is a very difficult animal to see in that area, but they are usually very shy and immediately escape as you try to approach them. Well this guy not only did not escape but even posed for my camera! What a sight!